Launching Back in June, I participated in an event called "Arts Not Parts". It was a call to action in support and solidarity with trans youth. I had such a fun time with the party that was thrown and creating posters to hang in bathrooms around the community. I also created one that will soon be available for print and download on www.artsnotparts.com! I'm so honored that I was able to spread awareness through art and help others as much as I can. 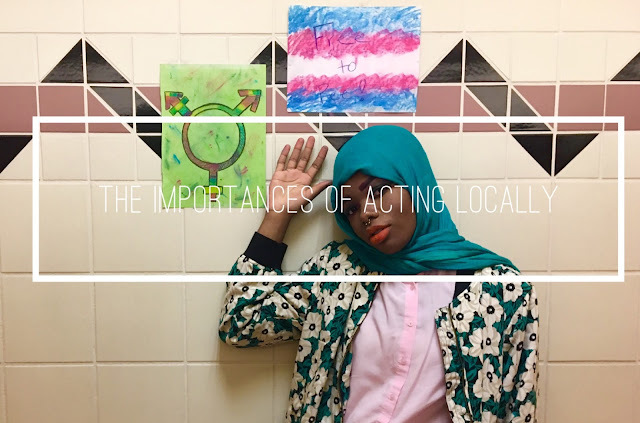 A few days ago, I was asked by www.schoolofdoodle.com to write a piece about what it means to act locally for their website. Equality surely means a lot to me, so when I was asked, I jumped at the opportunity! I hope you enjoy it. To see the original story, click here! As a minority myself, I understand how it feels to be treated differently because of the way you look or what you believe in. That it why I truly believe that standing up for yourself and others is a very important part of life. Especially if a group of people are being treated unfairly or deserve justice. Of course, the world is a very big place and at times it can be hard for people to listen. However, you have to start small in order to be big. That goes with any movement. Whether it’s trans rights, gay rights, or black rights, every movement started off was a little piece of someone who believed that these people deserve to be treated like the humans they are! 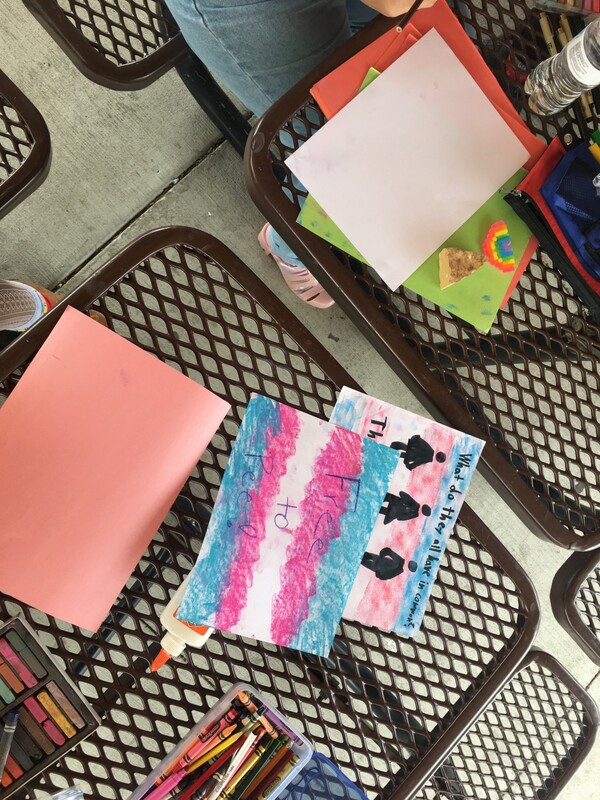 Getting out into the community and bringing awareness about trans youth will hopefully help my town understand that we do have a large community of people who are trans and will hopefully help them join the movement of trans rights, or at least help them understand and respect people’s beliefs. 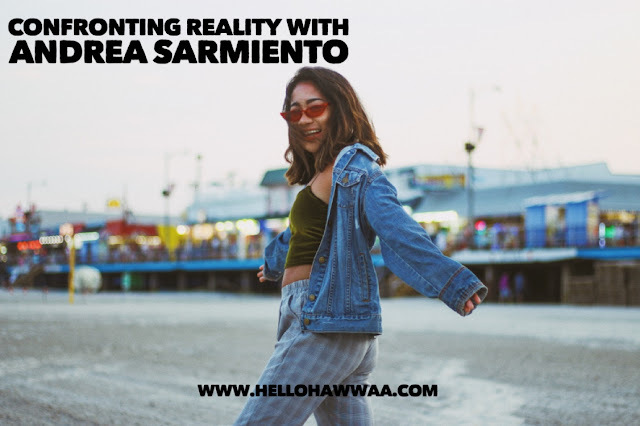 Small towns have a tendency of being a little more hesitant to change, but because there is a small community of people, including myself, who have hope for a change, I believe that more and more people will begin to move forward. There are tons of people who may or may not see eye to eye with me. But, in any situation, I would never know about anything until I decide to educate myself on it. 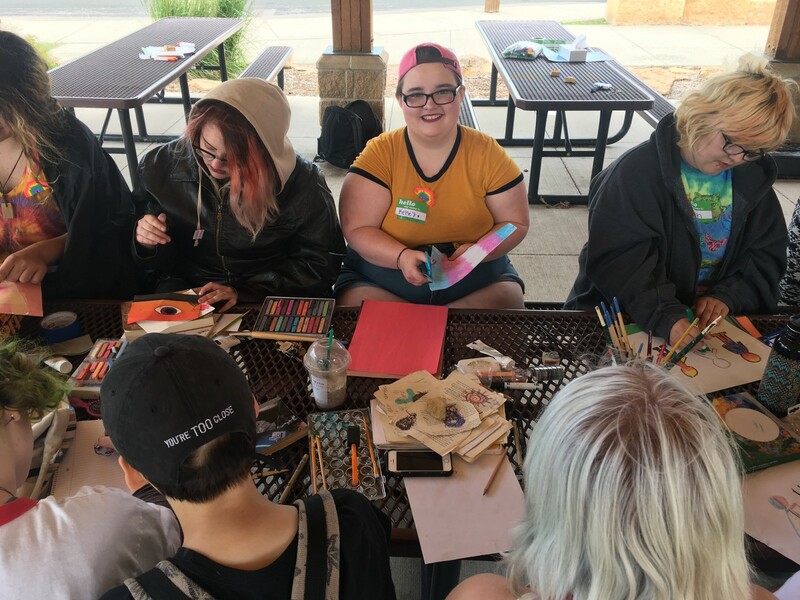 Throwing the “Arts Not Parts” party opened my eyes to a large amount of trans youth that lives in or around the community. 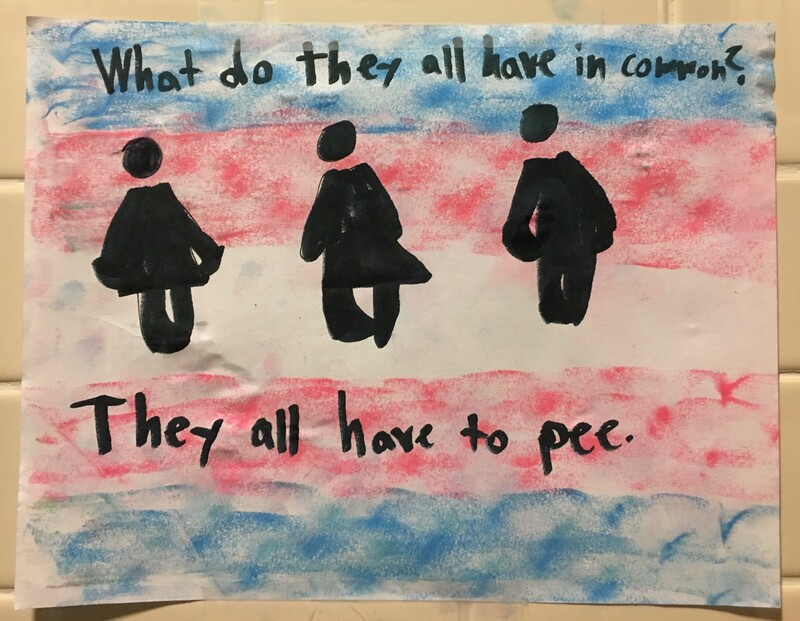 It opened my heart to the feelings of trans youth and gave me a sense of what they think about situations regarding bathrooms or any other inequality they have faced now or will face in the future. However, there is definitely a way to go about bringing awareness. I believe that violence solves absolutely nothing and in fact, makes the whole situation worse. It implies that anger is the only way people will listen, but that is not the case! Fire does not put out fire. Kindness does. When we think of art, we don’t necessarily think of anything that can harm people. We think of creativity and people who love spreading their ideas. Using creativity to combat contempt, whether it’s through music, art, or writing, shows people that we are able to put all of our energy into making beauty rather than destroying things or people that don’t agree with us. It is not okay to force people into believing the same thing as you, but if we present them with an idea of equality, they can either choose to agree or disagree. All in all, change starts small and if we want to make sure the people in the world are being treated equally and with respect, I believe we must bring awareness first though kindness and creativity in order for other to understand the seriousness of equal rights! Read Hawwaa Ibrahim’s blog post and watch her vlog about it Here! Check out ArtsNotParts.com and start acting locally today!